It was a year of unforgettable faces, some we've known for decades and some we're seeing for the first time this year. As we do at the end of every year, we asked our writers to pick one performance they loved from the past 12 months. There was no other requirement or guideline. 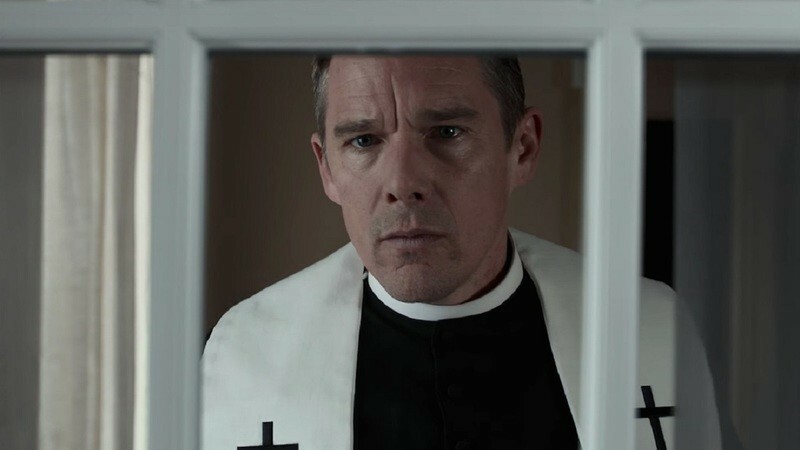 The submissions ranged from the performers who are racking up well-deserved awards this season to a group of actors and actresses who may not be getting as much as attention as they deserve. The requirement here was just to pick one performance to write about and we didn't dictate certain films must be included, so the feature below is in no way comprehensive. Just because we didn’t pick any performances from "A Star is Born," “Roma” or “The Favourite,” doesn’t mean we don’t adore those ensembles. But what you’ll find below is nearly two dozen performances that represent the range of acting styles on display in theaters in 2018. It’s a feature we love here not only because of how much it shows the range of cinema but the taste of our talented staff who writes about it. Enjoy. Michelle Rodriguez as Linda in "Widows"
When I see Michelle Rodriguez now, I hear the song "Don't Forget Me." Neko Case sings about projected strength and she does it with real strength. She has a voice like a hay maze, ancient but new, for the young but older than any child. The lyric "keep your memories but keep your powder dry, too," seems to have written about her, the action hero whose inner life we've never been encouraged to find. Michelle Rodriguez, one of the most ubiquitous Latina faces in the world, for which she never receives kudos, and yet one of the most misunderstood, has been kept young by Hollywood. She's still playing gun molls, hitmen and getaway drivers but she's become herself as surely as anything. She has fire inside of her, but no flame lasts forever. 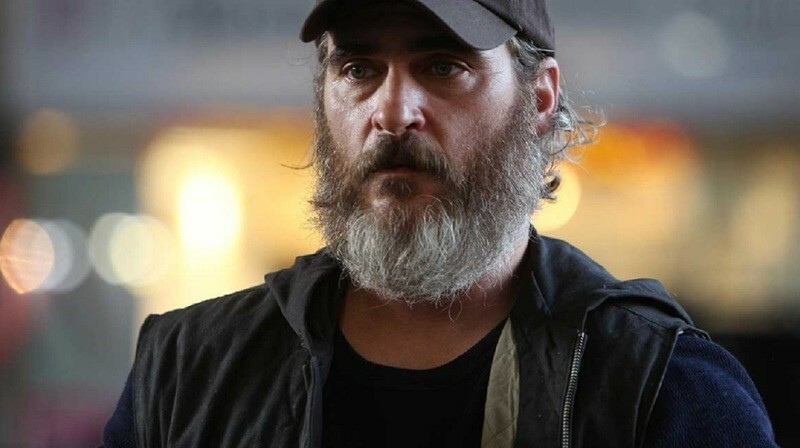 Joaquin Phoenix as Joe in "You Were Never Really Here"
From its first moment, in which the actor is seen with a plastic bag over his head, there is a genuine sense of palpable danger to Joaquin Phoenix's performance in "You Were Never Really Here." Writer/director Lynne Ramsay's hypnotic and elliptical take on the revenge thriller gives us a traditional hero, who saves the lives of innocents using violence, but scrapes away anything heroic about the character. Phoenix is the epitome of stillness as Joe, a man who has been traumatized by childhood abuse at the hands of his father and now, as an adult, tries to stop other children from enduring a similar fate. There is pain and rage beneath Joe's mostly silent and stone-faced exterior, but Phoenix rarely physicalizes that inner turmoil. He and Ramsay seem in complete harmony about how Joe's back story and motives are revealed throughout the narrative. Through quick flashes of the past, Ramsay explains Joe's history. Through his visage of constant external and internal examination, almost always resulting in the threat of or actual violence, Phoenix shows us the consequences of it. 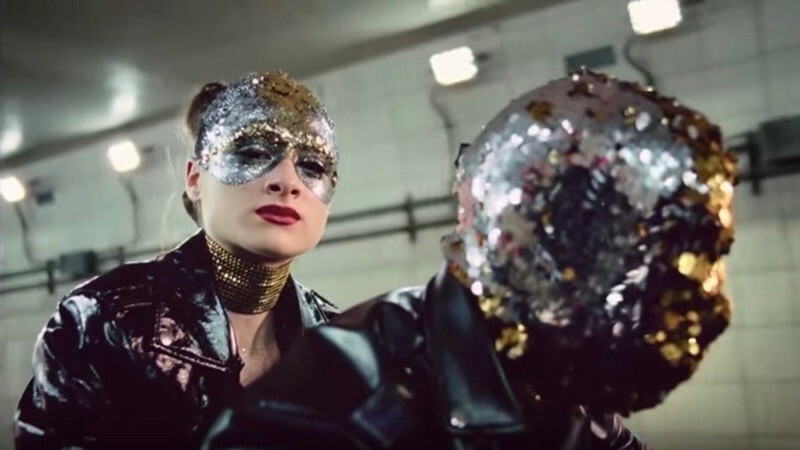 Raffey Cassidy as Celeste/Albertine in "Vox Lux"
Rarely does acting of a nearly invisible nature get awards season buzz. Performances that grab voters by the lapels and sob in their faces are typically what get rewarded, and in Brady Corbet’s sophomore directorial effort, “Vox Lux,” Natalie Portman relishes the opportunity to leave her teeth marks all over the scenery. Yet it is English actress Raffey Cassidy who emerges as the film’s true lead as well as its emotional anchor. I first took note of Cassidy in Disney’s “Tomorrowland,” where she stole the show as an animatronic hybrid of “Parent Trap”-era Lindsay Lohan and The Terminator. Her deft handling of duality also proves essential during the first half of Corbet’s film, which begins with one of the most heart-stopping cinematic moments in recent memory. When a gunman enters a middle-school classroom and starts firing, Celeste (Cassidy) remains pinned to her seat, speaking to her attacker in a calm voice while the rest of her peers huddle in a corner. As her older sister observes, Celeste can simultaneously appear to be 14 and 22. She exudes the doe-eyed innocence of youth but refuses to be intimidated, even with a weapon pointed in her face. Having mastered the power of hypnosis in “Molly Moon,” Cassidy’s eyes are no less mesmerizing here, surveying her surroundings in a way that suggests Celeste’s inclination to look at the bigger picture residing outside of the immediate present. On the night she loses her virginity to a much older man, Celeste’s formidably intelligent gaze remains fixed on the ceiling, as she delivers a melancholic monologue offering premonitions for the future. It is her hard-wired instincts as a “savvy businesswoman,” an identity affirmed by narrator Willem Dafoe, that leads the girl to seize her moment in the spotlight, penning a song in remembrance of her dead classmates that is sincere in its emotion yet calculated in its execution. 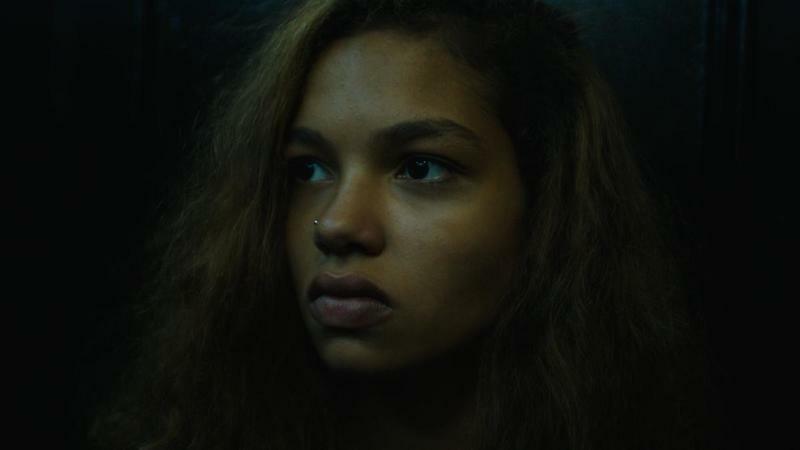 Cassidy’s tender performance of “Wrapped Up,” a tune from pop deconstructionist Sia worthy of Best Original Song contention, is as haunting as her rendition of Ellie Goulding’s “Burn” in “The Killing of a Sacred Deer.” Corbet’s enigmatic choice to cast the actress as Celeste’s daughter, Albertine, in the film’s second half could’ve derailed the film entirely, had Cassidy been anything less than one of the finest talents of her generation. Steven Yeun as Ben in "Burning"
Steven Yeun doesn’t arrive until the 37-minute mark of Lee Chang-dong’s masterpiece mystery “Burning,” and he’s off screen for giant chunks of time. But his presence hovers over everything, even in his absence, as a beguiling, driving force. A wealthy, well-traveled young man living far more luxuriously than most people his age in Seoul, Yeun’s 30ish Ben is a “Great Gatsby”-esque figure, inviting us into his world yet keeping us at arm’s length. The more the aimless and envious Jong-su (Ah-in Yoo) gets to his new friend, the more enigmatic Ben becomes. Does Ben just enjoy toying with people – charming them with his cool confidence and carefree sense of humor, then casting them aside? Or is he up to something more sinister? What’s really happening in Lee’s film—inspired by a Haruki Murakami short story, yet inescapably Hitchcockian in its tension—is up for interpretation. Much of the allure of “Burning” comes from its bold ambiguity, and the conversations it surely will spark afterward. But what’s undeniable is the low-key power of Yeun’s performance. He accomplishes so much with just a sly, knowing smile after he’s caught yawning at a dinner party, or the way he’ll deliver a seemingly benign line with a frightening hint of menace. Certainly it helps that he’s gorgeous, and that costume designer Lee Choong-yeon has dressed him in an array of minimalist creams and heather grays to emphasize his aura of detached arrogance. But he’s also totally seductive without trying hard to be, driving Jong-su’s innocent childhood friend Hae-mi (Jong-seo Jun) around town in his Porsche, or confiding his shocking, secret hobby to Jong-su in warm, conspiratorial tones. 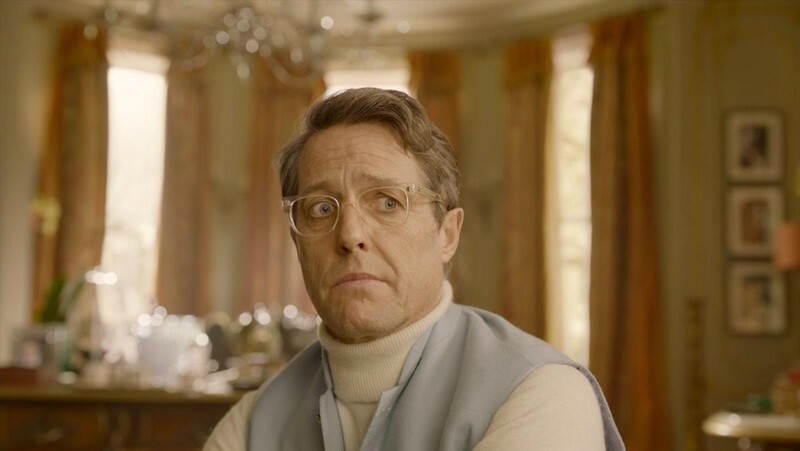 Hugh Grant as Phoenix Buchanan in "Paddington 2"
In “Paddington 2,” Phoenix Buchanan is an Actor with a capital A. Well, actually, he’s a has-been Actor. The capital A still applies, however, even when his thespianism has been reduced to doing stale commercials on the telly, or even worse, when it’s used to commit outright grand larceny. Because this guy lives for the performance, and he’s willing to do things the hard way simply for the sake of assuming or recreating a role. And Phoenix has plenty of former roles from which to pilfer because he’s running through the career of his portrayer, Hugh Grant. As he proved in “Florence Foster Jenkins,” Grant is ripe for self-parody, especially when it involves villainy of some sort. He played a washed-up actor in that film too, but any subtlety he had there has been replaced by gloriously broad gestures. Grant’s capacity for gigantic performances seems to run counter to his sheepish romantic comedy charmer bona fides, until you recall that this guy worked for Richard Curtis, Merchant-Ivory AND Ken Russell. Grant turns everything he’s done before up to eleven, dressing up in various guises (including a nun) and constantly drawing attention to himself even when inconspicuousness would be wiser. Marvel at the blatantly obvious, smarmy fake charm he employs when sweet-talking the location of the pop-up book-slash-treasure map out of a trusting Paddington Bear. Watch the cruel glee that crosses his face before he disappears behind the puff of smoke that will frame his nemesis. Shake your head when Phoenix, faced with capture by Paddington’s caretaker, Mr. Brown, opts for an Errol Flynn-style swordfight just to show off his fencing credentials. Grant’s wonderful, go-for-broke performance isn’t camp because camp is accidental; everything Phoenix does is on purpose and for maximum effect. I mean, his evil plan to finance a one-man show requires an entire carnival, secret codes and a runaway train! A Kickstarter would have been easier, but it wouldn’t be dramatic enough for this attention junkie. 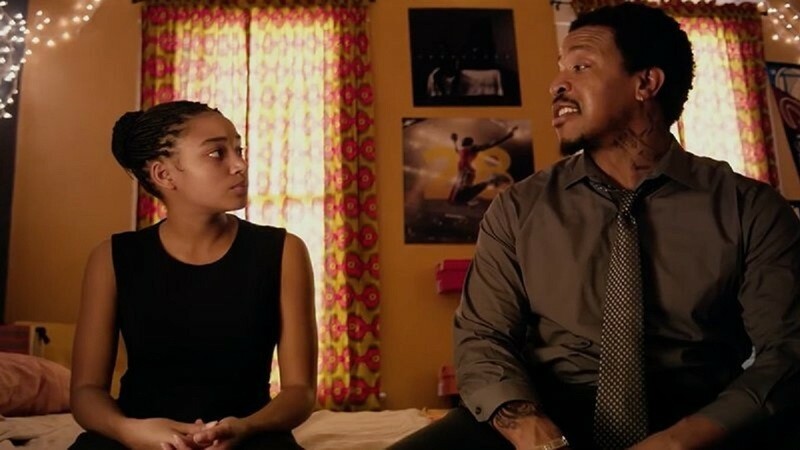 Elsie Fisher as Kayla Day in "Eighth Grade"
Russell Hornsby as Mav Carter in "The Hate U Give"
Madeline Brewer as Alice in "Cam"
With a red lip, a pink room and blue glow, Lola is a dream. An aspirational creation by Alice, who makes her living as a cam-girl, Lola is a vaporwave queen that women want to be and men want to be with. As Alice and Lola in Cam, Madeleine Brewer treads a careful line as she unveils the different levels of performance we bring to our online and lived experiences. The true self, rather than being buried behind a mask, is fragmented across many different identities. The challenge for Brewer was already steep, but it becomes even harder when Alice’s account is overtaken by a doppelganger. Lola 2.0. exists solely in service of likes and money, a kind of transfiguration of our online life if we acted exclusively for internet Klout. 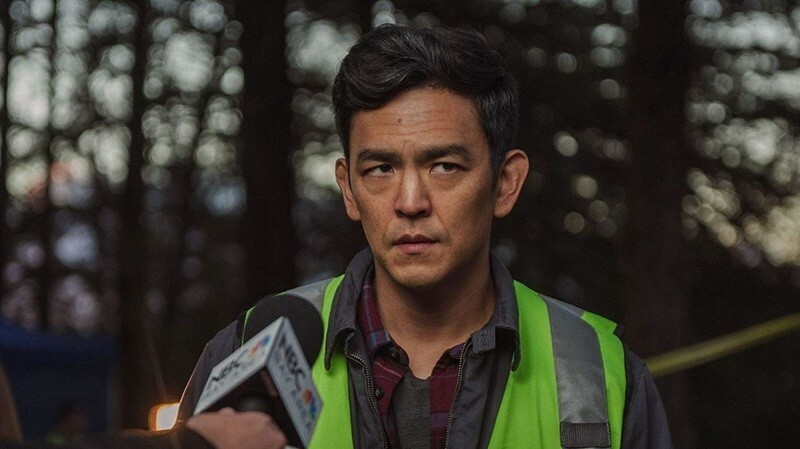 John Cho as David Kim in "Searching"
“Searching” is a family thriller that unfolds in a very familiar world—the environment of screen culture, whether that means text messaging, social media, or the strangest corners of the internet. Aneesh Chaganty and Sev Ohanian’s story (directed by Chaganty) relies heavy on one person’s emotional exploration of this world, John Cho’s David, a father who investigates his daughter Margot’s life online after she goes missing. And while the film is truly nail-biting with its mystery as to where Margot might have disappeared to, the heart of it is in Cho’s arc, and the nuance he brings to what is at times a one-man show. 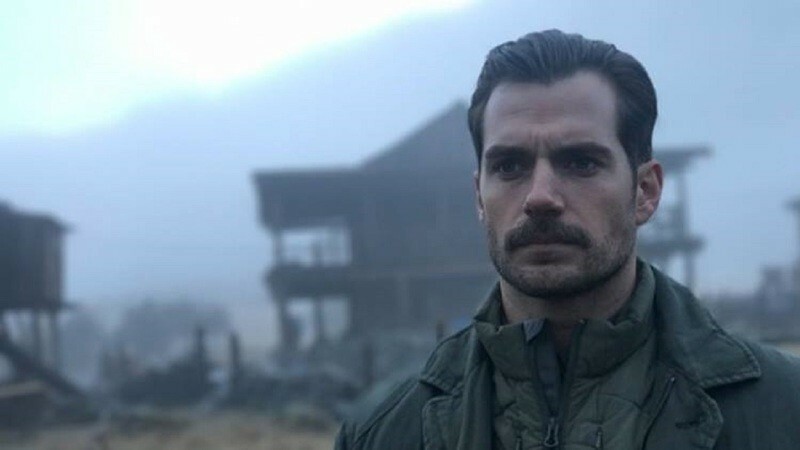 He starts the adventure as a lovable dorky dad, making way for light, warming comedy with a tinge of sadness, after it’s revealed that his wife and Margot’s mother recently passed. But once the story kicks off, Cho is a key part to building the tension of the story, his palpable desperation informing his anxious communications with Margot’s peers, and sometimes leading to very effective comic relief. The film is an excellent display for Cho’s range, but also his accessibility as a magnetic screen presence. Regina Hall as Lisa in "Support the Girls"
Henry Cavill as August Walker in "Mission: Impossible - Fallout"
Ethan Hawke as Toller in "First Reformed"
Though he's showed great range over the course of his career—from laid-back, freewheeling charm in his films with Richard Linklater to everyman in way over his head in "Before the Devil Knows You're Dead" and "Training Day"—it's genuinely startling to see Ethan Hawke as tightly wound as he is in "First Reformed." As Rev. Ernst Toller is a pastor dealing with the lingering guilt of his son's death, the concerns of a troubled congregant and his wife, and the specter of a world being destroyed by climate change, Hawke's body seems weighted down with spiritual and physical pain; as Toller, Hawke's movement is slower and more arduous than we've ever seen, his bodily pain clear even before we know what his maladies are. Sakura Andô as Nobuyo Shibata in "Shoplifters"
I sometimes feel uncomfortable applauding an actor or actress for a performance without also complimenting the writer(s) or director(s) that helped them to realize that performance. Usually, I just let that feeling pass, since it's hard to definitively say who did what behind the scenes of a film. Luckily, "Shoplifters" was officially written and directed by the singular Japanese filmmaker Hirokazu Kore-eda. So commending Kore-eda alongside actress Sakura Andô makes sense (for now). Kore-eda gave Andô her character's (strictly metaphorical) dance steps, but she realizes and owns every maneuver she was asked to (and then some). That's no small feat (sorry about the pun) given that Nobuyo, Andô's character in "Shoplifters," is constantly showing us that she's just as capable of being cynical as she is of being open-hearted, even as she and immature would-be patriarch Osamu (Lily Franky) struggle to provide for their patchwork family. Rafael Casal as Miles in "Blindspotting"
When I saw "Blindspotting" earlier this year, I was blown away by it. The movie is pure perfection, blending social commentary with the lyricism of hip-hop; a quasi-musical commenting on the world we live in. All the actors in it are brilliant, and to separate one from the pack seems wrong, but considering the absence of his name from the Indie Spirit Awards this year, I had to take time to praise Rafael Casal’s performance as Miles. Casal’s performance evokes memories of seeing Burt Lancaster play Elmer Gantry, a fast-talking bullshitter who can sell anything to anyone so long as he makes it “sound pretty.” On the surface he provides comic relief. He causes trouble by screaming at people and generally inserting himself into every situation. Collin is right to worry, but at the same time there’s a relatable quality to Miles: he’s the friend who irritates you to no end, but you definitely have some crazy stories to tell. Casal makes Miles’ hotheadedness and danger silly, attractive, and frightening. His relationship with Daveed Diggs’ Collin is described as akin to “Calvin and Hobbes,” wherein Miles is the Calvin who believes he’s special because he understands how fake the world is, refusing to drink green juice and trying desperately to hold on to an Oakland where he feels like, despite being an outsider, he can pass. 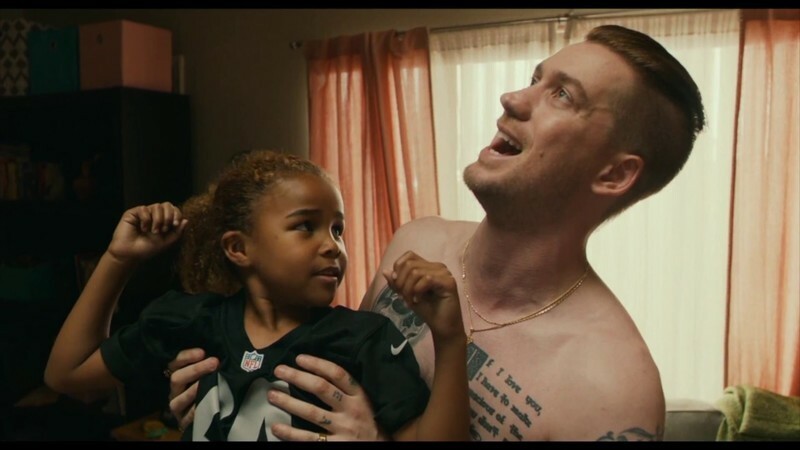 The movie tackles race from so many different angles, and when Collin finally lays things out to Miles, there’s a unique discussion presented about the commodification of blackness and how decades of it creates an otherness for white people in gentrified cities. Helena Howard as Madeline in "Madeline's Madeline"
When I first sat down to watch the trippy indie drama “Madeline’s Madeline,” I had never heard of Helena Howard, the young actress making her screen debut as a troubled but talented teenager whose gifts as a performer are both given a chance to flower and ruthlessly exploited when she joins an experimental theatre company, but as I was viewing it, I quickly realized that I was observing the birth of what could be a truly extraordinary career. 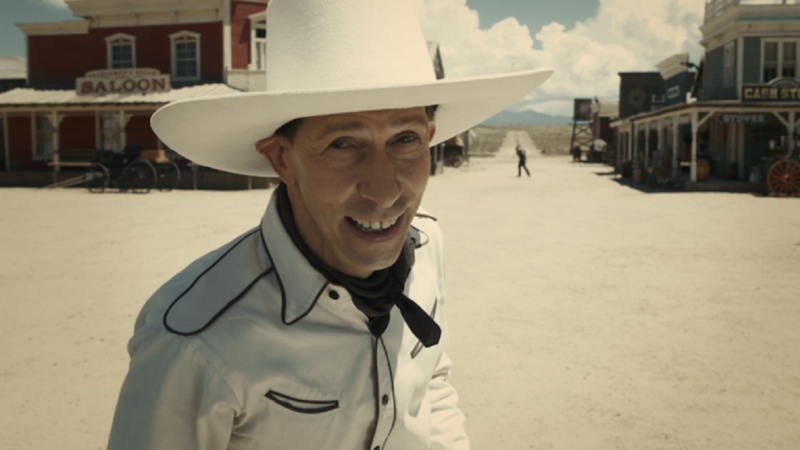 Tim Blake Nelson as Buster Scruggs in "The Ballad of Buster Scruggs"
Joel and Ethan Coen's Western anthology is a showcase for a dazzling ensemble of actors, including Zoe Kazan, Tom Waits, Liam Neeson, Harry Melling, Tyne Daly, and Stephen Root. All give performances that rank with their best work, and whether they're playing demonically impish cartoon characters (Root) or tragic figures (Kazan), they're convincing. But Tim Blake Nelson deserves a special citation because he plays the title character and appears in the first episode, which puts a frame around the whole thing, and he's the only performer in the movie whose performance is also an idea. You could even call it a proposition. Scruggs is a singing cowboy in the mold of Roy Rogers who's first seen cantering through Monument Valley, the site made famous by many a John Ford Western. Nelson is a deadpan marvel right from the start, breaking the fourth wall and acting as if the entire story is for the benefit of an audience of one. The filmmaking poses him somewhere between the mythological and the real, treating him to luminous closeups but also pulling very far back to diminish him into a speck against the landscape. His songs become less audible the farther away from him we get, an odd directorial decision that no other musical has ever made because it makes us question whether we're supposed to accept what we're seeing as "real" even though, obviously, people didn't go around singing cowboy songs at top volume in the Old West while making eye contact with an invisible moviegoer. The trick in a performance like this is to just plow ahead and act as if everything you're seeing is perfectly ordinary. That's what Nelson does, though with faint gleam in his eye that could be delight or malice, depending on how you look at the character and the story. That's the most unsettling and effective way to play it, and the best way to keep the viewer off-balance while the filmmakers execute one brazenly unrelated flourish after another, from Buster's many spectacular and improbable trick shots to the way he dispatches the glowering Curly Joe (Clancy Brown, in a marvelous one-scene cameo) with a tactic that Daffy Duck or Porky Pig might've have used against Nasty Canasta. This character is a psychopath who thinks he's a good-hearted songbird of the prairie, bringing joy and dispensing justice. He confronts and kills many people in the course of this brief story, always in circumstances where you could mount plausible arguments for his being either innocent or an instigator, the wronged party or the troublemaker who escalates situations while pretending he had nothing to do with their creation. Thomasin Harcourt McKenzie as Tom in "Leave No Trace"
Although it received heaps of positive reviews at the time of its theatrical release in US, Debra Granik’s “Leave No Trace” did not receive as much year-end attention as her previous film, “Winter’s Bone.” That is really a shame, considering the remarkable performance from young New Zealander actress Thomasin Harcourt McKenzie. In early scenes, Granik shows us her characters going through a number of daily activities in and around their camp, but we slowly come to sense how closely they have lived together for years. McKenzie effortlessly conveys to us her character’s deep emotional bond with Foster’s character via her natural interactions with him on the screen. 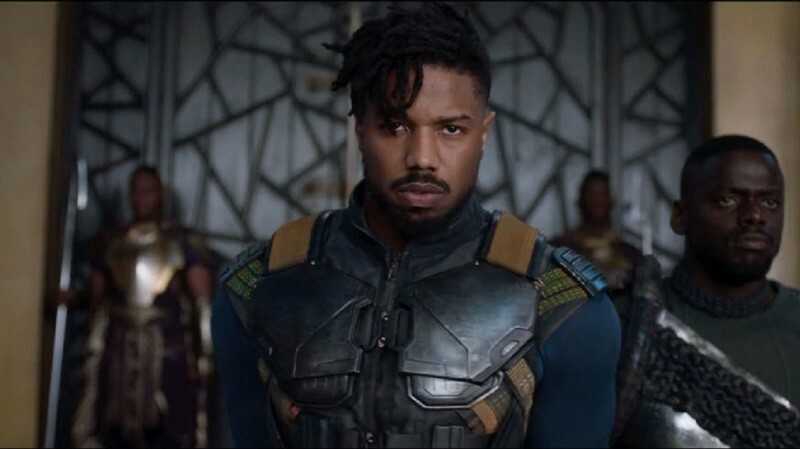 Michael B. Jordan as Erik Killmonger in "Black Panther"
For the first half of the film, he coasts as an assistant to Andy Serkis’ Ulysses Klaue. Then, he takes over the film as one of the most fierce, complex villains of any of movie of the genre. Erik Killmonger is the Frankenstein monster created by the United States, first through the Slave Trade and its legacy, then formed from his Wakandan family with his father’s killing, and then reshaped through our modern war industry as a super soldier. He compensates for the global abandonment of people of color, of African Americans, and of his young self, with focused, unstoppable rage. Jordan’s disposition has a strength and comfort that he inserts into each of the characters he plays. Killmonger’s fury becomes even more frightening. His snark even more biting. While many could play T’Challa, there is no other actor who could play Erik. Others would have reduced Killmonger to a schizophrenic supervillain. Jordan merges all of Killmonger’s sides into one humanity, as he does in his ending. 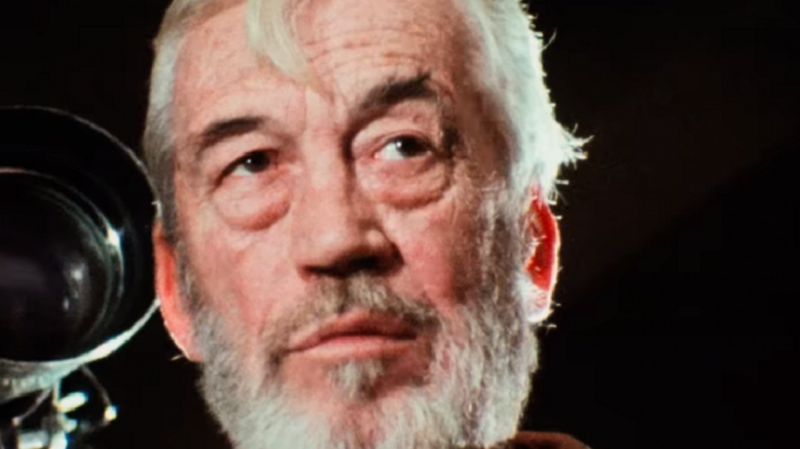 John Huston as Jake Hannaford in "The Other Side of the Wind"
Within "The Other Side of the Wind"'s circus-like production, orchestrated by Orson Welles, John Huston represents the “high striker”—the strength tester, the strongman. As Jake Hannaford, the iconic actor-director punctuates each mini-monologue with good ol’ boy machismo, tinged with a bit of sexual innuendo. Is he playing himself? Is he playing his version of Welles? Without any context about Welles’ infamous mockumentary (aimed directly at Hollywood and pretentious cinematic figures), and without viewing Netflix’s fascinating behind-the-scenes documentary "They’ll Love Me When I’m Dead," one might view Huston’s performance as a reflection of outdated Golden Age posturing. In fact, it’s not hard to imagine Hannaford saying, "Step right up! Test your strength! "Who are the men out of the boys?" But just as Welles satirizes Ernest Hemingway’s bravado with the Hannaford character model, Huston channels the writer’s “Iceberg Theory,” allowing him to project all the recognizable traits of an overconfident Hollywood figure while keeping details beneath the surface. The film’s first act establishes Peter Bogdanovich’s Brooks Otterlake as the comedic foil, a hype man of sorts for the enigmatic Hannaford, who doesn’t make a proper entrance until the 27-minute mark. To be fair, Bogdanovich does indeed steal many scenes, but Welles’ unorthodox directorial approach and changing intentions makes Bogdanovich’s Otterlake the joker to Huston’s King. And Huston brilliantly balances old school machismo with wink-of-the-eye camp. It’s in the cigar puffs and the verbal cadence; it’s in the domineering stares and performative scene exits. With each spoken word, Huston utilizes every lip muscle; Leonardo da Vinci would be proud. And Welles, along with cinematographer Gary Graver, knows exactly how to light and frame Huston.